All hail the good news! Youth Rebuilding New Orleans received word this month that we’ll be getting another grant from Bike & Build, our biggest ever from the organization. Thank you! Thank you! Thank you! We also held an Open House at 316 South Salcedo Street this past Saturday as we seek a local teacher to buy our most recently completed home. We particularly want to thank the New Orleans Advocate for the advance publicity for the event in the form of a great story by Kim Singletary. I felt especially good about the article, because it came as a direct result of my successful effort to bring Tulane student-athletes in for a volunteer day last month and the ensuing publicity around that. First and foremost, the camaraderie among AmeriCorps members is incredible, like nothing you’ll find in a typical job. The closest comparison I could make is it’s like being in college insofar as you have a tendency to hang out with your friends a ton, but it’s different too because you consider pretty much every AmeriCorps member your friend. We’re like-minded! In college, there were plenty of people I thought were very unlike me, if not plain creeps. Conversely, I’ve never thought of an AmeriCorps member as anything but inspiring and worth knowing. Plus, it seems like once AmeriCorps, always AmeriCorps. In these ways, the best comparison might actually be the military, but I have no first-hand experience there. Secondly, the “perk” of serving on a year-to-year basis is not something you’re going to find in most jobs. Whereas some might look at this as creating an uncertain future, I see it as providing the ultimate freedom. Should you decide to move on to something else after a year or two, you’re thanked for your time and everything’s peachy. None of those uncomfortable “giving notice” meetings that feel like a break-up, no matter how good the relationship. Last but not least, every day as a VISTA separates me that much more from “the old Jack.” In fact, I now completely and wholeheartedly identify as a VISTA, as if transformed. Not that I was doing anything unseemly before, but very few jobs give you the same feeling this one does. In the past, I was fond of saying “I just work here” or “just give me the paycheck” when anything was less than perfect. Now I’m not even fazed by getting no pay during a government shutdown! It’s like some of us were discussing during a recent Friday meeting—helping people is like taking a drug; once you get a taste, you keep craving more and more of it. 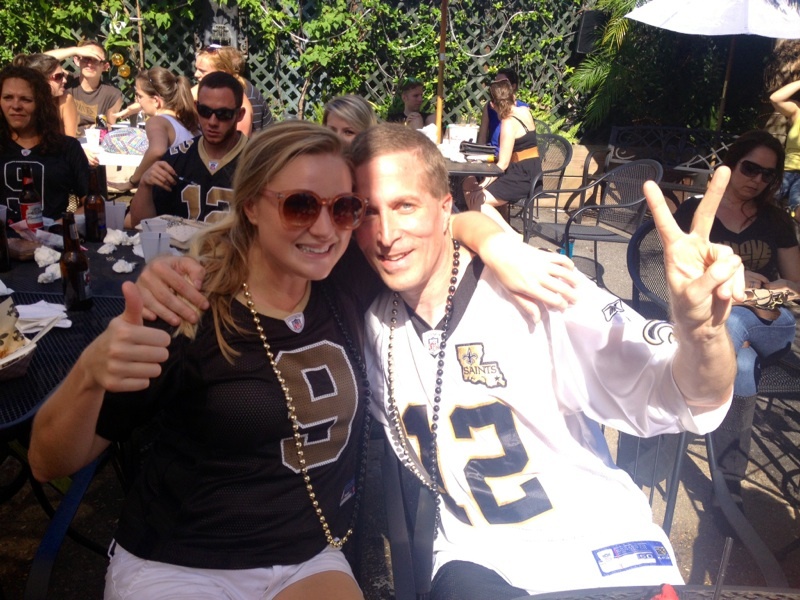 Kind of like I crave Saints victories—my streak in the Superdome is now 11 straight wins, yet it’s not enough! You didn’t think I was gonna get away without my tag line this month, did ya? 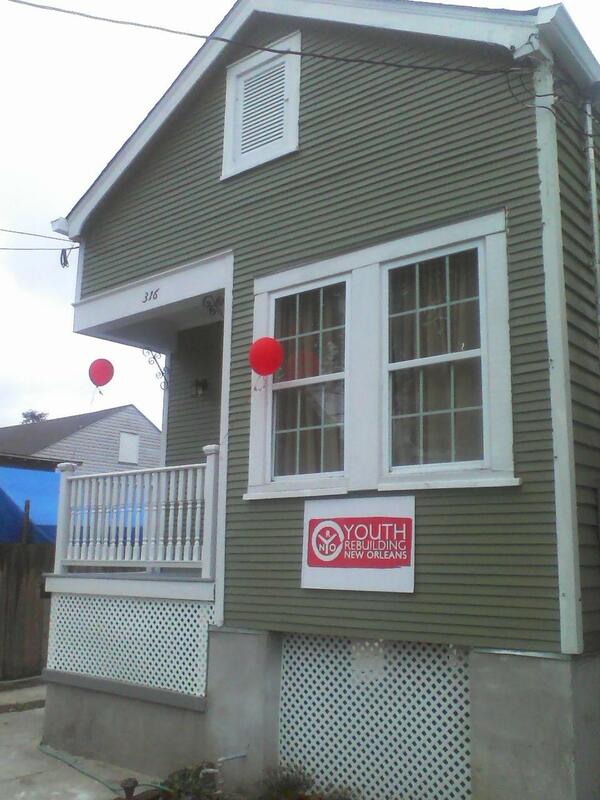 This entry was posted on October 22, 2013 by Jack Styczynski in VISTA Field Reports, Youth Rebuilding New Orleans.